It invoked a smart reply: “We already have one… the National Hurling League,” I said. But, he was pondering something completely different. An All-Ireland Hurling League. It got us thinking. That sounds like a cool idea, but could it work? Could it be implemented? How? What would traditionalists think? So, we got thinking and we got planning. Of course, now, we have the Allianz Leagues – a great competition, and arguably the best formatted and most competitive one. But, what exactly is the sole purpose of these leagues? To provide players with an opportunity to stamp down a championship place. To build up a run of momentum. To give fans something to cheer about. Ultimately, it’s a glorified pre-season competition ahead of the All-Ireland Championship. So, I began recounting. Galway, Tipp, Kilkenny…eh…Kilkenny and Clare. Not too hard. Galway, Clare… I began to wonder. Who? Kilkenny? No…was it? No. Who won it in 2015? But the Allianz League is still the best format. Unfortunately, the GAA have ultimately implemented two inter-county competitions of proposed equal worth. And mostly, it’s up to the counties to prioritise. Take Waterford in 2018 as a perfect example. Their manager, Derek McGrath has publicly stated that he wants his team to peak during the All-Ireland Championship and that he’s not worried at all about the results in this year’s National League. More than likely, this came on the backdrop of Galway’s 2017 All-Ireland winning season, where Michael Donoghue’s side didn’t even finish top of Division 1B – yet, they still emerged victorious in the League and then the All-Ireland final against the Deise in September. Winning the league was a great result for Galway, but overall, it was a result that devalued the whole concept of the League. It makes little sense, a result that shouldn’t have happened. Now, with the implementation of a new ‘round-robin, league-type’ format introduced to the Munster and Leinster Championships, the number of games have increased for inter-county hurlers. Take Kilkenny in Leinster for example, they’ll be competing in two to four games in the Walsh Cup, at least five games in the National Hurling League, then another four games in the new round-robin Leinster Championship. Traditionally, they’ll advance to a Provincial final, an All-Ireland semi, and possibly an All-Ireland final in September. Game, after game, after game – all directed towards winning the All-Ireland. That’s a long year, and with the direction inter-county hurling has gone and continues to go, it doesn’t look like a sustainable calendar for modern-day amateur sports players. Remember, most of these players will be playing hurling and Gaelic football with their clubs too. They’ll be working. They have families. In college. They are not professional athletes. So, could we merge the Allianz League and the All-Ireland championship into one? Scrap the pre-season competitions. Scrap the Provincials. Why not? When you see Galway winning the Leinster Championship, a blind man could see there’s something wrong. In turn, this would create a League – like the Premier League as such, where hurling’s top ten teams will play each other. Nine competitive inter-county games per year and whoever finishes top is crowned with the League trophy. Albeit, this could potentially mean the inevitable scrapping of All-Ireland final day – but nobody throughout the GAA world wants that. For hurling fanatics, it’s the best day of the year, so, in addition to the League trophy, the All-Ireland trophy would be presented to the winner of the top four. First plays fourth, second plays third in the All-Ireland semi-finals as an All-Ireland final day awaits. Over the course of a reformed inter-county GAA calendar, a potential eleven, directly focused and competitive inter-county matches could see the winner crowned with the Liam McCarthy. Traditionalists might argue that this will create a divide. In English Football, there’s a thing called the Championship… League one…. Non-League…. Yes, and in the All-Ireland there’s competitions called the Christy Ring, the Nicky Rackard, the Lory Meagher. It’s very similar. Under this proposal, ten teams will simultaneously compete for the League and the Liam McCarthy. The others, in the second-tier and third-tier will compete for, let’s say the Christy Ring, and promotion. Wexford, Clare, Tipperary, Kilkenny, Cork, Waterford, Limerick, Galway, Offaly, Dublin. With radical opinions on reform such as this, there’ll always be contrasting sides. An argument against this attempted reform is the imbalance of games between the top county teams and the counties on the fringes of the ‘All-Ireland Premier League’ and the ‘Championship’ per se. But, it’s the exact same concept of the Premier League matches. Take Leicester’s 2015/2016 Premier League run as a perfect successful underdog story, where weaker teams can prosper under pressure against the traditional heavyweights. Others would oppose the scrapping the Provincials which hold traditional sentimental worth, however, with Galway competing for the Bob O’Keeffe, a vivid degradation of the Provincial championships can be highlighted. Along with a reformed GAA calendar, a format like this would take heightening pressures off inter-county players, as well as allotting more time for the grassroots and club teams. Reforms such as this will be criticised, but one conclusion can be established with absolute certainty; each game would be crucial for every participating county. This article was submitted through the Submit An Article tab. 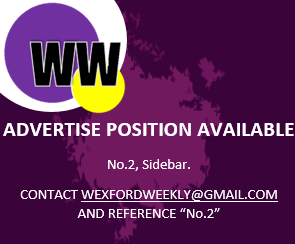 Submit an article below or email it to wexfordweekly@gmail.com to be in with a chance of winning €15.